INSTALL programming and its certifications are well known as a driving force behind solving industry problems. INSTALL’s education program is comprised of industry-leading curriculum including journeymen and proprietary manufacturer training. 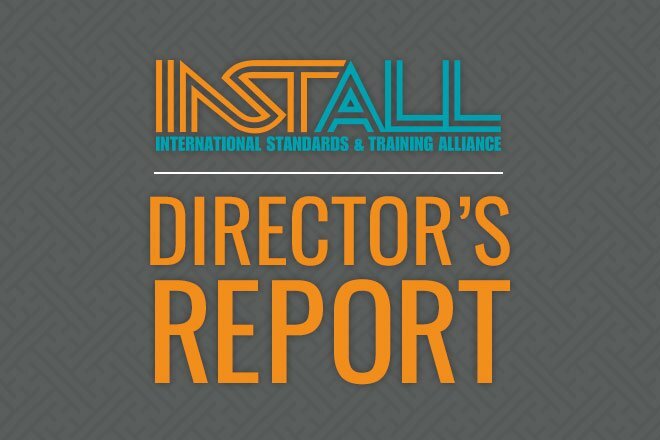 In addition to traditional training, INSTALL offers a wealth of resources to help installers succeed. For example, INSTALL, in collaboration with The Carpenters International Training Fund (CITF) offers an educational tool for United Brotherhood of Carpenter members, Build-A-Book. The tool is a fusion of online publishing and hands-on training that allows for the production of skill development curriculum designed for the needs of a specific contractor or project. This tool is designed to help contractors and installers prepare for challenging installations and ensure that every installer understands how to install products before they arrive on the job site. An easy-to-use menu lets training coordinators pull standardized chapters from nearly 80 CITF textbooks (with more in the works) to create state-of-the-art, targeted curriculum and companion instructor materials that cross all skill sets. Learn more here.